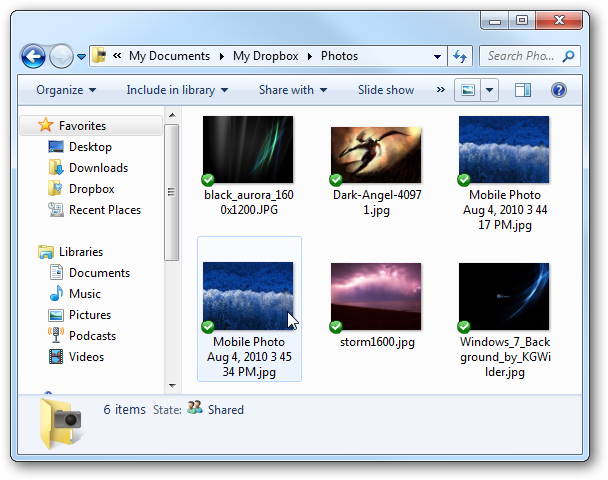 One of the great features of Dropbox is the ability to share and sync your files with other computers and mobile devices. 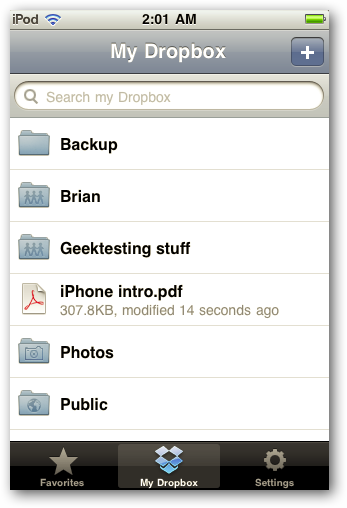 Today we take a look at adding Dropbox to your iPhone or iPod Touch. 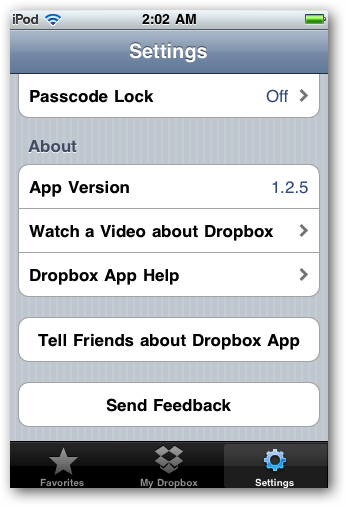 If you own an iPhone or iPod touch and want to always have access to important files in your Dropbox, installing the free Dropbox App is a must. It’s free, easy to use, and can help keep your work organized while on the go. 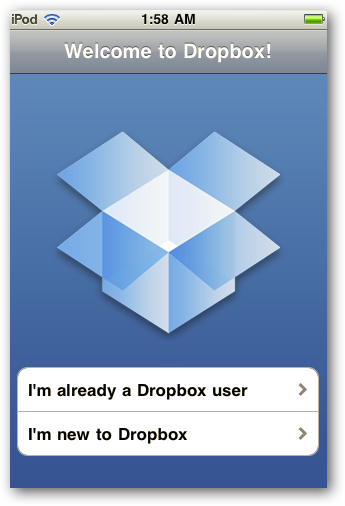 First you’ll need to get the Dropbox app, and there are several ways to do it. 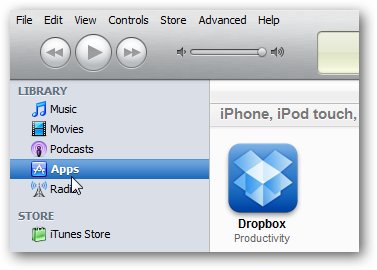 Here we look at getting it on your computer through iTunes first. 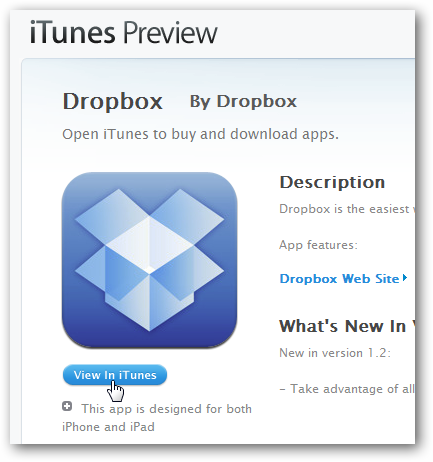 Go to the Dropbox iTunes preview site (link below) and click View In iTunes. Or you can just search for it in iTunes App Store and download it. You can also get it from the Dropbox site. Which ever way you go about getting the app, once downloaded you’ll find it in iTunes under Apps. 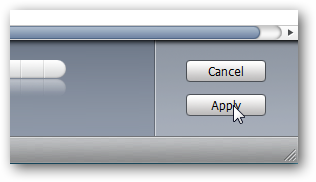 If you haven’t already done so…go to the Apps tab and check Sync Apps. 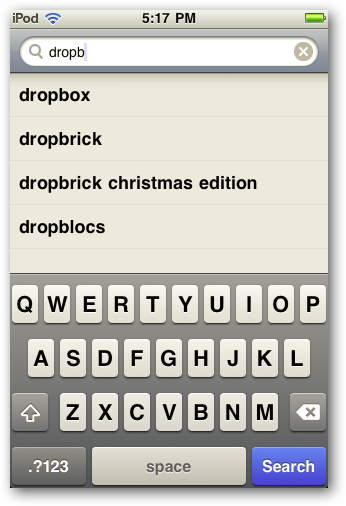 Then drag Dropbox over to your Home Screen and place it where you want it to be. 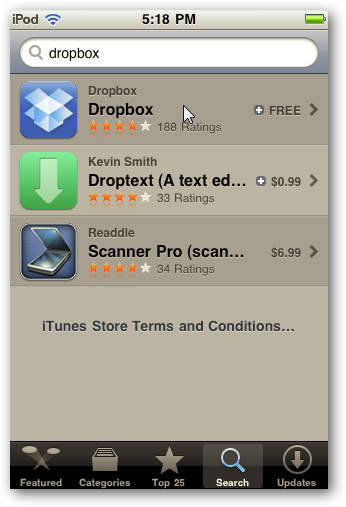 After you have it where you want, click Apply at the lower right-hand corner of iTunes. 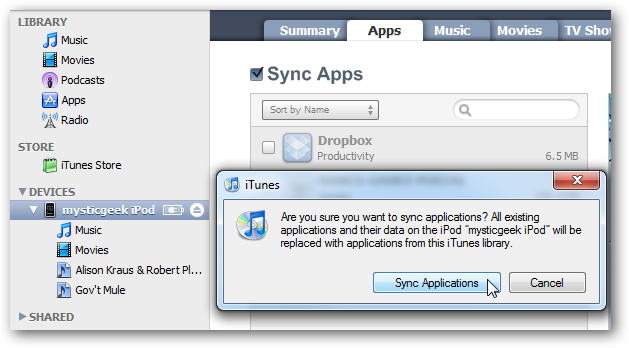 Once the sync is complete you can disconnect your iPod or phone and begin using Dropbox. 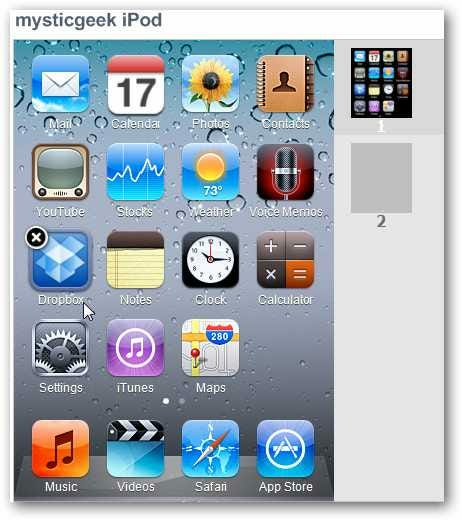 Then download and install it directly to your phone or iPod. 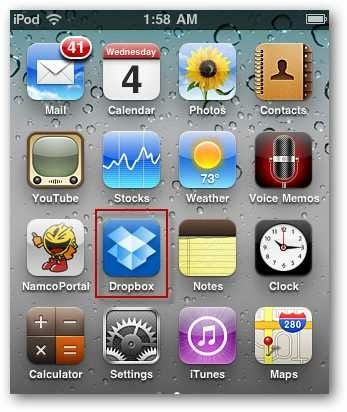 To start using Dropbox on your device, click the Dropbox icon from your Home Screen. 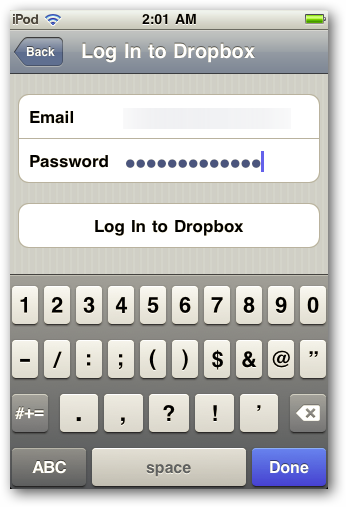 You’re brought to the Dropbox login screen and select if you’re already a user or new and set up an account. We’re already a user so we’ll select that option. 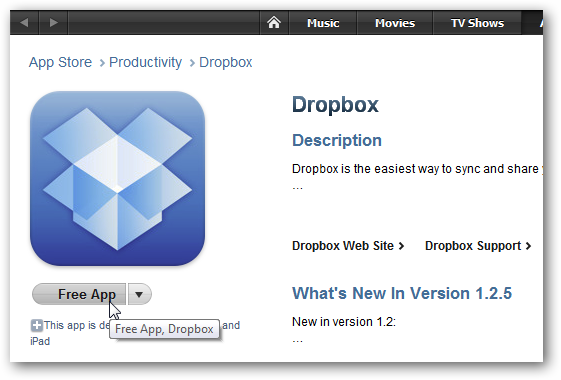 When you log in you can check out the Welcome to Dropbox overview for the iPhone / Touch. Tap on My Dropbox and you will be brought to all of the files and folders that are contained. 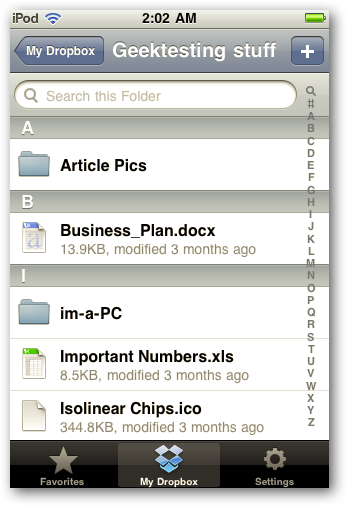 Now you can browse through your folders and check out your files. 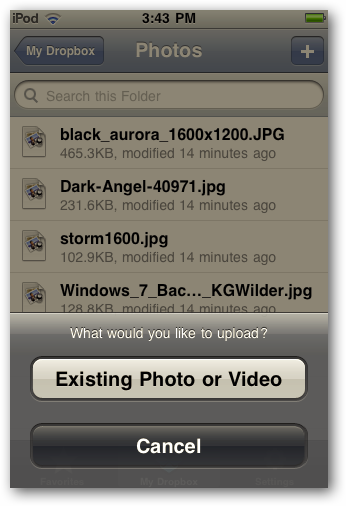 In Settings you can change Photo quality settings, watch a video about Dropbox, get app help, send feedback…and more. 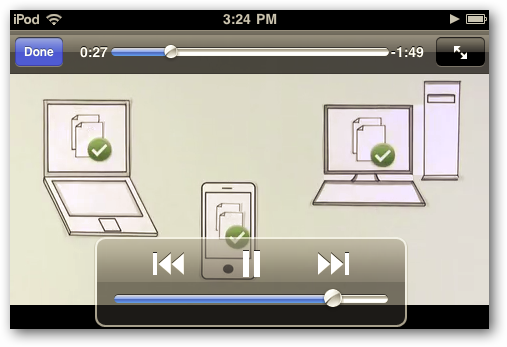 If you’re new to Dropbox you might be interested in checking out the intro video on how it works. 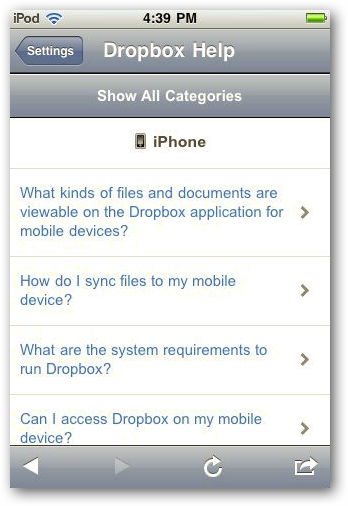 There’s also a handy Dropbox Help section where you can look up how to complete specific tasks. 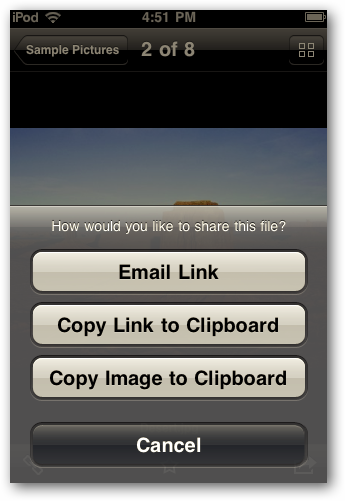 It also allows you to share files you have in your Dropbox folders. For example we want to share this picture by sending a link to it via email. Click on the link icon in the lower left corner. Then select Email Link. You can also copy the link or image to the clipboard. 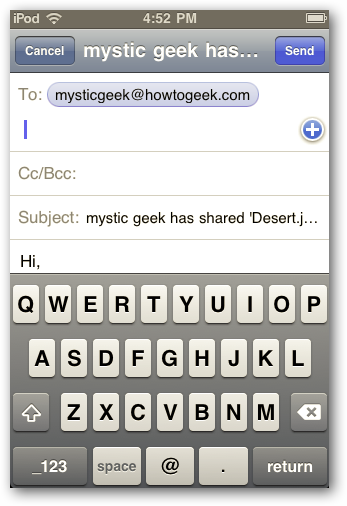 Your email app will come up and you can add a message and send off the link to the Dropbox file to your contact(s). 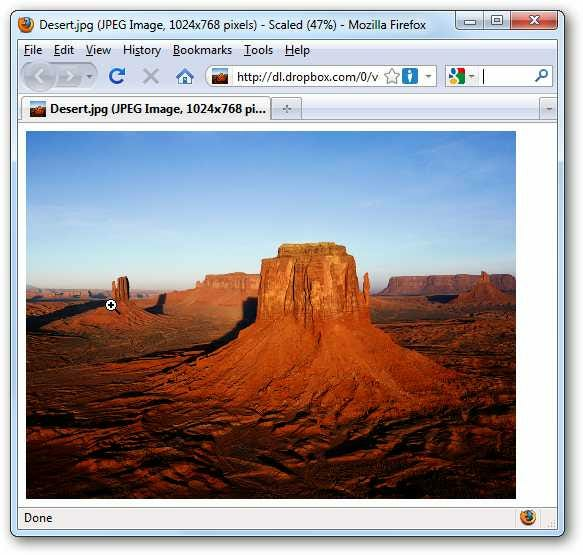 The recipient will get your message with the link and can access the file in their default browser. 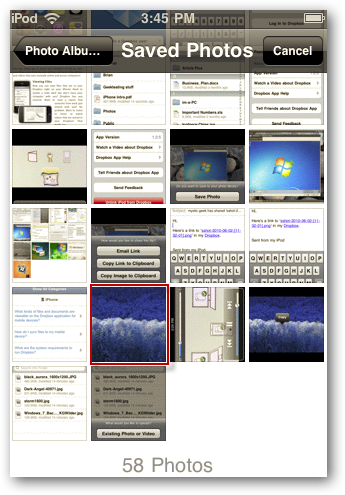 While viewing files in your Dropbox account, you might want to save them to your phone or iPod. 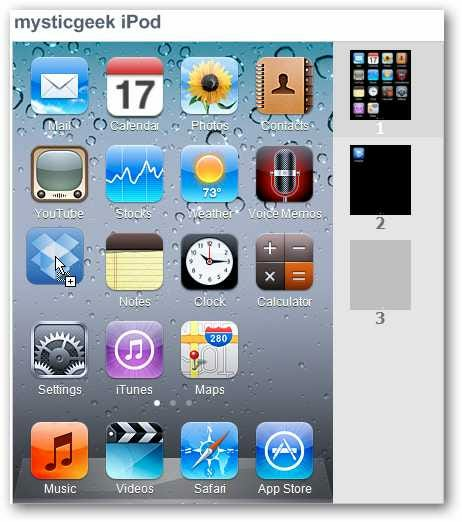 Click on the arrow icon on the lower right corner of the screen. 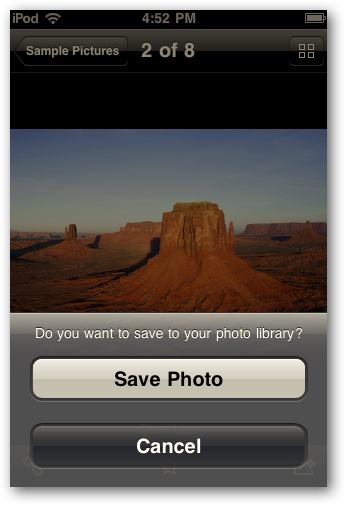 Now you can tap on Save Photo to save it to your photo library. The coolest thing about Dropbox is the ability to access your important files from anywhere on multiple machines or devices. While it’s a straight-forward process adding files from your PC to Dropbox so you can access them on your device, what about adding files from your phone or iPod Touch to Dropbox? Luckily this is also an easy process. 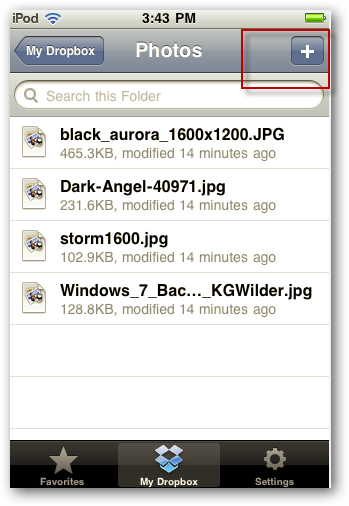 Navigate to a folder in Dropbox and click on the plus icon at the top right of the screen. 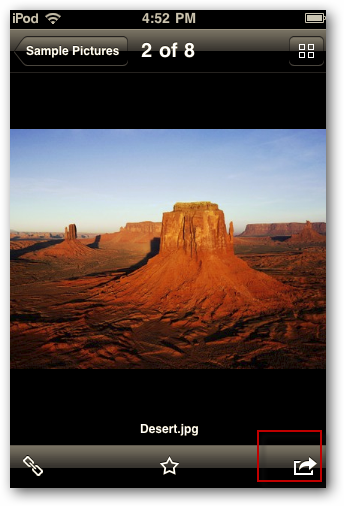 A screen will pop up asking what you would like to upload, tap on Existing Photo or Video. Find the photo you want to add…here we are selecting a wallpaper image. It will then be added to the folder you want in Dropbox…actually here we added the same photo twice, but you get the idea. Now it’s available on all computers and portable devices you have Dropbox installed on. Here we are accessing what we added from the iPod Touch on our computer at home. 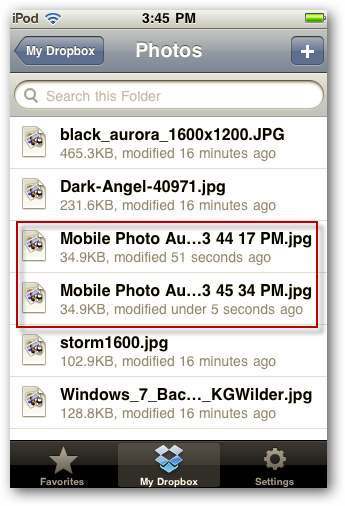 Notice it adds Mobile Photo to the file name which is handy in knowing where files came from. If you’re a fan of Dropbox and like to have access to important files on your portable Apple device as well as your computers, this app does the trick. it’s a free app, easy to install, and easy to use. 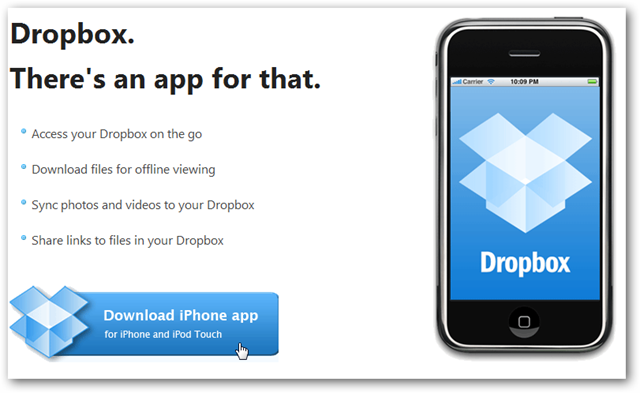 Here we looked at the basic uses of Dropbox from your iPhone or iPod touch. As we discover new tips and tricks for it, we’ll certainly be sharing those with you too. We’ll also be covering how to use it on an Android device as well in future articles. 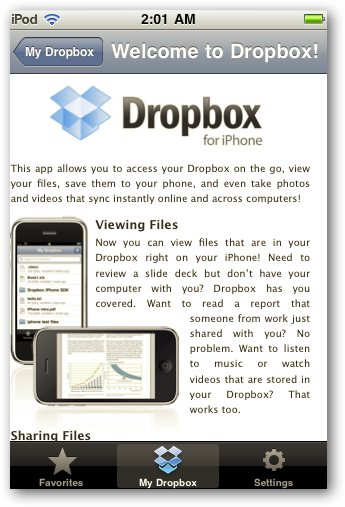 Do you use the Dropbox app on your Apple device? Leave a comment and let us know!